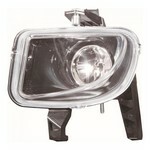 Replacement Headlamp / Headlight unit to fit the Fiat Grande Punto [2006 to 2008] Abarth Models only. Black Inner Includes Adjuster Motor All items are aftermarket replacement OE style. 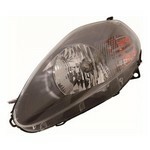 Replacement Headlamp / Headlight unit to fit the Fiat Grande Punto [2006 to 2008] Excludes Sport Models. Chrome Inner Includes Adjuster Motor All items are aftermarket replacement OE style. 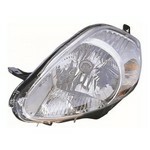 Replacement Headlamp / Headlight unit to fit the Fiat Grande Punto [2006 to 2008] Sporting Models only. Dark Grey Inner Includes Adjuster Motor All items are aftermarket replacement OE style. 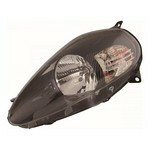 Replacement Front Fog Lamp unit to fit the Fiat Grande Punto [2006 to 2010] Excludes Abarth Models. Chrome Inner All items are aftermarket replacement OE style. 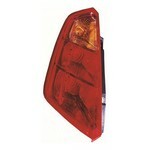 Replacement Rear Tail Light unit to fit the Fiat Grande Punto [2006 to 2010] All items are aftermarket replacement OE style. Replacement Headlamp / Headlight unit to fit the Fiat Grande Punto [2009 to 2010] Abarth Models only. Black Inner Includes Adjuster Motor All items are aftermarket replacement OE style. Replacement Headlamp / Headlight unit to fit the Fiat Grande Punto [2009 to 2010] Excludes Sport Models. Chrome Inner Includes Adjuster Motor All items are aftermarket replacement OE style. 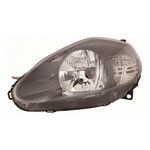 Replacement Headlamp / Headlight unit to fit the Fiat Grande Punto [2009 to 2010] Sporting Models only. Dark Grey Inner Includes Adjuster Motor All items are aftermarket replacement OE style.